With a £100m super yacht, former MISS UK now turned song writer, Kirsty Bertarelli, is Britain's richest woman. The 42-year-old shares an estimated £7.4bn fortune with her husband, Swiss biotech magnet Ernesto Bertarelllis. Kirsty, however, is not the only super-rich woman in the country. Here’s an overview of some of the richest women resident in the UK, according to Philip Beresford a leading authority on British wealth. Born June 30, 1954, Charlene de Carvalho-Heineken is the owner of a 25% controlling interest in the world's third-largest brewer: Heineken International. The 59-year-old sits on a fortune worth an estimated £5.4 billion that she inherited from her father when he died in 2002. Her father, Freddy Heineken, was former boss of Heineken. Born June 6, 1952 in Lund Sweden, Kristen Rausing owns a controlling interest in the privately held Tetra Laval multinational corporation headquartered in Pully. The 61-year old oversaw Tetra Laval turn in sales of £7.6 billion in 2009. Kirsten’s estimated net worth is a whooping £3.9 billion. Lady Tina Green comes in next as one of the richest women in UK with an estimated fortune of £3.3 billion. Lady Green shares her fortune with her retail tycoon husband, Sir Philip Green. 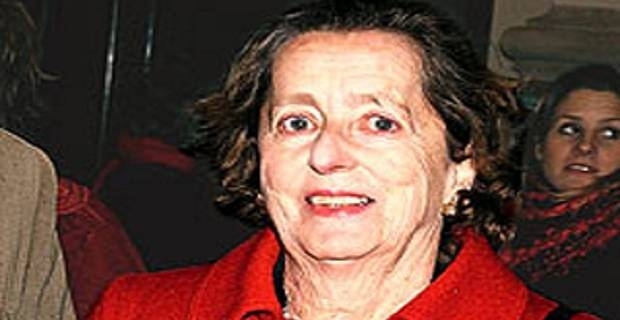 Baroness Howard de Walden and family are estimated to be worth £2.2 billion. With such a fortune, it is not surprising that in 2010 the baroness and family were able to acquire 14 period properties on Harley Street from the Crown Estate worth £34m. The properties located in the middle of the Howard de Walden 90-acre estate in London had not been traded in more than 470 years. Amazing what a nice, clean fortune can get you! Anita Zabludowicz closes our list of richest women in UK with an estimated fortune of £1.5 billion. With this fortune, Anita and her husband have commissioned a £60m pair of “his” and “hers” mansions with an exclusive art gallery and the largest basement developments dug in Britain. Added to that, the billionaire couple has also bought a number of prime plots on an upmarket north London Street commonly referred as Billionaires’ Row.